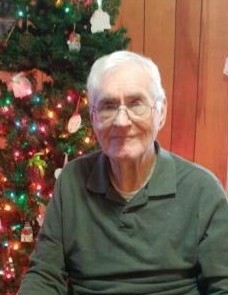 John William McLean, Jr., 89, of Laurel Hill, NC, passed away on March 21, 2019. John was born in the Beaver Dam community of Richmond County, NC, January 10, 1930. He was the second oldest son of Fannie Elizabeth Liles and John William McLean, Sr.
His parents and three of four brothers, Thomas Grady McLean, Earl Crawford McLean, and Eugene Liles McLean and his sister, Mary Ellen Saunders, preceded him in death. John is survived by Maxine Elizabeth Norton McLean, his wife of 68 years (m. Dec 2, 1950) and his brother, James Harold McLean (Roseboro, NC). He is also survived by children Bonnie McLean Howell (Tom) of Townsville, NC, Kay Hix of Salem, VA, Mary McLean-Monroe (David) of Laurinburg, NC, Lynn Grooms (Ricky Harden) of Laurinburg, NC, John William McLean, III (Molly Holland) of Pittsboro, NC, and Mike Baxley of Huron, Ohio. He is also survived by these grandchildren and their children: Beth Peele Crotty (Burns and Smith) (Atlanta, GA), TJ Peele (Cameron, Everette and Brooks) (Carrollton, GA), Melanie Howell Hutson (Zoie and Zack) (Townsville, NC), Elizabeth Monroe (Eliza) (Laurinburg, NC), Frances Monroe (William) (Southern Pines, NC), Jessica Grooms (Laurinburg, NC) and Hannah McLean (Chapel Hill, NC). John’s family is especially grateful for the loyalty and compassionate care bestowed by caregivers Phyllis Langley, Michelle Raines, Mary Locklear, Alyssa Chavis, Barbara Chavis, Kayla Fulmer, Annie Gilliland, and neighbors, Ronald (Buck) and Faye Norton. Since May 2018 Scotland Regional Hospice cared diligently and lovingly for John. Sincere thanks to their doctor, nurses, aides, chaplain, and grief support. An extremely self-reliant individual, John was the quintessential do-it-yourselfer. As a lad, he worked in peach orchards and built boats in Richmond County. Later, he built baby furniture in High Point, NC. When Ingraham moved a watch plant into Scotland County, he moved there with his young family. John helped set up machines in the new plant, where he worked later as a machinist, tool and die maker, and model maker. John then became an instructor of machinist trades at Richmond Technical (Community) College and retired from teaching in 1999. He also served as a member of The Gideons International. John loved his family, church community, fishing, hunting, being out-of-doors, handicrafts, and teaching others his skilled crafts. Memorials are requested to Snead’s Grove United Methodist Church (to Lee Morgan, 12880 Andrew Dr., Laurinburg, NC, 28352) or to the American Red Cross (a blood donation would honor him best). A Celebration of Life Memorial Service will be conducted at 2:00 p.m. on Saturday, March 23, 2019 at Sneads Grove United Methodist Church. Visitation will follow the service in the church fellowship hall.